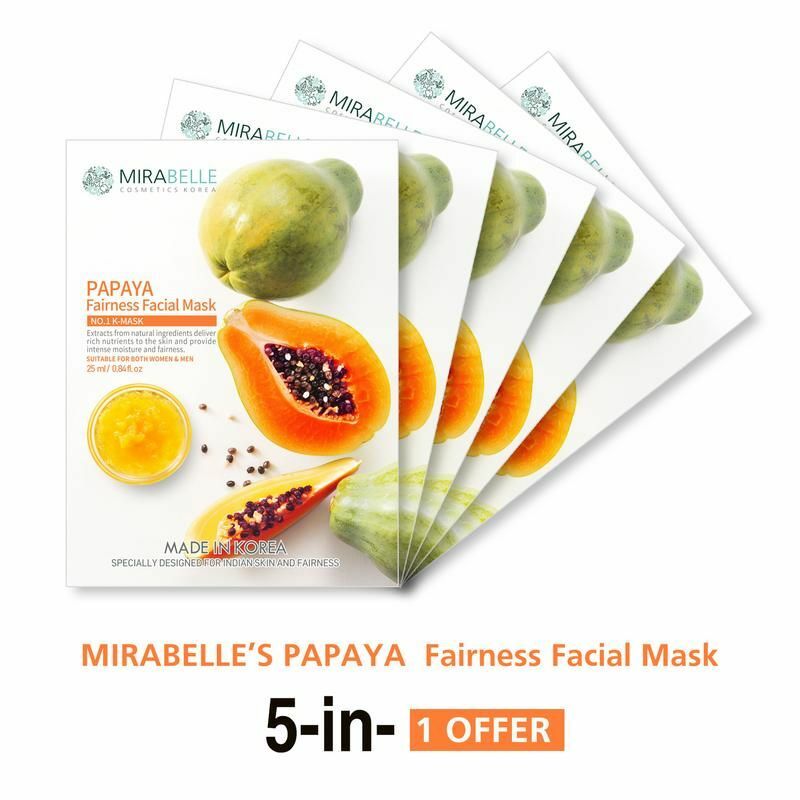 Are dark spots and blemishes bothering you?Ideal for dry, damaged and dull skin, the Mirabelle Korea Papaya Fairness Facial Mask allows in erasing dark spots and blemishes and making the skin fairer than ever before. This organic sheet mask is specially formulated for Indian skin. It delivers rich nutrients to the skin and provides intense moisture and fairness. 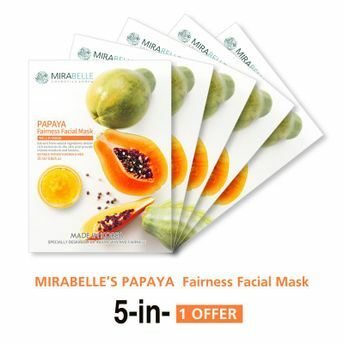 It contains various extracts of Papaya, Evening Primrose seed, Paenia Lactiflora root, Ginseng root which carry lots of vitamins that helps enhancing skin elasticity.